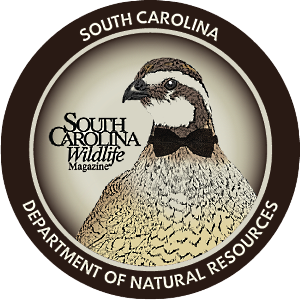 Enthusiastic Palmetto State birders grab binoculars and checklists for this annual nationwide event that helps scientists monitor North American bird populations. 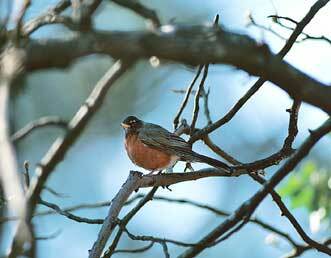 Birds of a feather flock together, especially at events like the Great Backyard Bird Count. 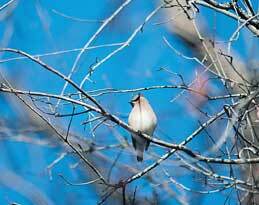 Just ask Roger Ables, a Taylors resident who participated in the 2009 event last February at Table Rock State Park, where his sightings included cedar waxwings, robins, warblers and his first cousin, a Pickens County resident whom Ables hadn't seen in thirty years! "That was the biggest surprise," says Ables, who recently retired to his native Upstate South Carolina after three decades of living and working in Texas. "The group was walking along paying more attention to the birds than the people, I guess, when we finally recognized each other. We had a nice visit." Ables, his cousin and thousands of their kindred spirits across the continent were spending the day participating in that year's version of the annual effort to log bird sightings in North America. 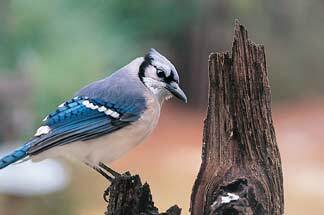 The Great Backyard Bird Count is led by the National Audubon Society and the Cornell Lab of Ornithology, and the information gathered each year helps biologists and other scientists get a better handle on how bird populations are shifting and changing in response to changes in the environment. In addition to an invaluable real-time snapshot of bird distribution information, the effort also aims to help people reconnect with life beyond their picture windows. 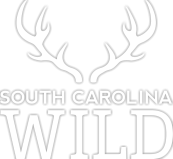 "It's a great program, if for nothing else than it gets people out into their backyards and really taking a look at what's there," says Lex Glover, a wildlife technician for the S.C. Department of Natural Resources. "And we hope, of course, that their interest will grow from counting to include concern and awareness of the need to protect habitat. "You also might learn something you never knew, something happening right under your nose. There's a lot going on around us that many people just don't take time to see." Such unexpected knowledge might include numbers relating to a mass invasion of pine siskins, for instance, one of the takeaways from the 2009 national count. There was a huge influx of Northern finches into the United States last year, apparently driven south by seed crop failures in their Canadian wintering grounds. That phenomenon was borne out in the total of 279,469 pine siskins noted on 18,528 of the more than 93,600 bird checklists submitted from the 2009 count. 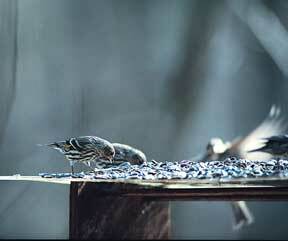 The most pine siskins reported previously had been 38,977 on 4,069 checklists in 2005. 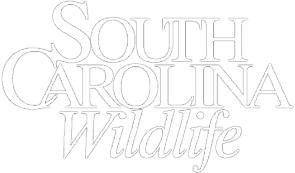 That 2009 list of pine siskin sightings included the big backyard of Table Rock State Park, where Scott Stegenga, an interpretive ranger with the S.C. State Park Service, leads the annual count. Stegenga was joined by thirteen other bird-watchers on a cool, wet morning in the Blue Ridge park, where the group walked away with a list that also included red-shouldered and red-tailed hawks, Eastern bluebirds, hermit thrushes, the aforementioned waxwings and robins, goldfinches, pileated woodpeckers, yellow-bellied sapsuckers, brown-headed nuthatches, ruby-crowned kinglets and brown thrashers, just to name a few. More unusual sightings Stegenga reported on his own, after the group was gone, included American woodcocks and a lone tree swallow, the latter not a rare bird but unusual for its presence at the mountain park so early in the year. It's those kinds of anomalies that spark interest and speculation on the impact of such factors as habitat loss - as reflected in the shrinking numbers of some waterfowl and wetlands birds, for instance - and climate change as evidenced by northward expansion of the winter range of some songbirds. That said, Glover and other bird experts - such as Irvin Pitts, the State Park Service's resource management director - caution against rushing to judgment from short-term and limited observations. "We see continuous changes in bird populations," Pitts says. 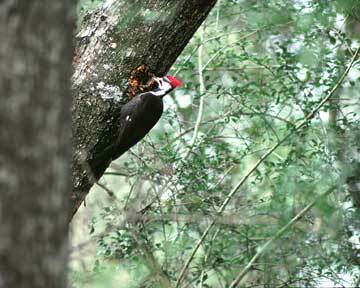 "In 2008, for instance, we had red-breasted nuthatches all over South Carolina, but in 2009 there were very few of them. Meanwhile, the bald eagle is doing better now than it has in a long time, but we also have a lot of concern for neo-tropical songbirds, which are being affected by fragmenting of their wintering grounds in Central and South America." Pitts says he sees efforts like the Great Backyard Bird Count as valuable tools in gaining a more thorough, long-term handle on changes in bird populations and the overall environment in which they live. "It helps us really pinpoint conservation needs," he says. And, of course, the birds aren't the only creatures that benefit. 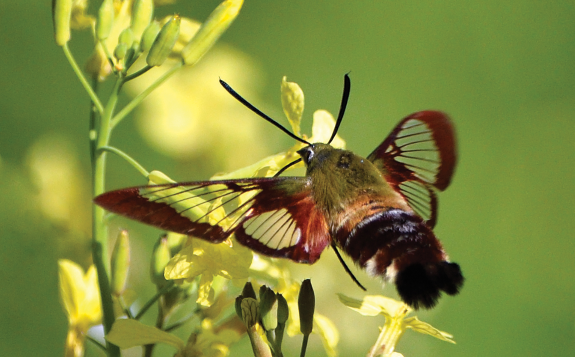 "I just love the way this event opens up a new world for so many people," says Janis Dickinson, citizen science director at Cornell Lab of Ornithology in Ithaca, New York. "We have grandparents counting with their grandchildren, elementary classrooms doing the GBBC as a special project, nature centers taking visitors out on bird walks . . . and adults who never noticed birds before are suddenly smitten!" Glover, the DNR wildlife technician, can second that emotion. He admits to having twenty or more feeding stations in his own yard in Elgin and also acknowledges the feel-good aspect of feeding birds and watching them. "It's relaxing and engaging, and it helps people feel good about giving something back to the wildlife and natural world around us," he says. 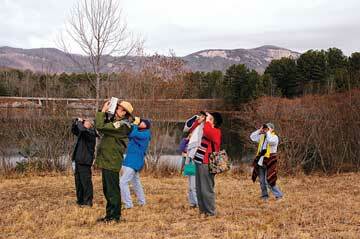 "A lot of people experience that and are very passionate about counting birds, too." He also warns against making broad assumptions based simply on observations in your own yard. "If we have an unusually warm winter, for example, birds may not come to your feeder that much, and you don't want to make the mistake of assuming that populations are down based on observations at one location," he says. "It really takes a long-term study and count period before you can attempt to draw any conclusions about numbers at a single location." Of course, to count the birds, they have to be there, and Glover says attracting feathered visitors to the backyard really isn't rocket science. "Remember the basics: food, water and shelter. If you provide those in your backyard, then you're going to have a steady stream of birds that will take advantage of them." And last but not least, you'll need a good field guide to identify them. Marc Rapport is a former manager of media relations for the S.C. Department of Parks, Recreation & Tourism and a Columbia-based freelance writer.